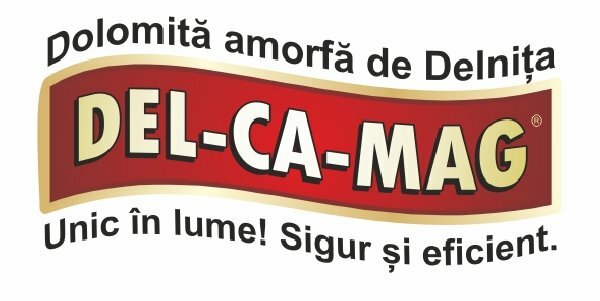 DEL-CA-MAG is a trade name of amorphous dolomite of Delnita. Romania holds the only amorphous dolomite deposit in the world,located in Delnita-Harghita area. Dolomite`s great particularity is that,unlike the crystalized one,it has a much weaker bound between the calcium and magnesium ions. This favors the rapid decomposition and assimilation of both plants and animals. The Amendment for soil improves it`s physical,chemical,and biological propertys,descreasing it`s acidity. It has important role in increasing the production and imprsheepg the quality of the products. Due to contained magnesium,the losses when it comes to transport,storage and preservation are attenuated,keeping intact the quality of the products. DEL-CA-MAG : For good health,harmonious development of youth,strong and healthy bones,life extension,healthy look with shiny fur,preventing hair loss. DEL-CA-MAG is a trade name of amorphous dolomite of Delnita. Romania holds the only amorphous dolomite deposit in the world,located in Delnita-Harghita area. Dolomite`s great particularity is that,unlike the crystalized one,it has a much weaker bound between the calcium and magnesium ions. This favors the rapid decomposition and assimilation of both plants and animals. Amorphous Dolomite is extracted in pure state,in stone form,wich is then crushed to powder stage,without any other interventions that may alter its properties.Thus DEL-CA-MAG is a 100% natural product. DEL-CA-MAG is a natural supliment used for the soil,and as well in veterinarian use. Dolomite is a mineral from the carbonate anhydrous mineral group,commonly found in nature. The mineral crystallizes in the trigonal-rhombohedral system,with CaMg(CO3)2 chemical formula,dominating rhombohedral crystals,or the white gray massive aggregates having color variations that can be up to brown.It has a relatively low hardness,between 3.5 and 4 with a density of 2.9 g/ cm ³. A characteristic property wich distinguishes dolomite from limestones is its reduced solubility in acids,and the reaction with sulfuric acid unlike calcite there is a slow reaction.Another characteristic feature of dolomite is the luminescence in different colors,from orange to white,green and brown.Dolomite rock that has the same name,has in composition mineral content of at least 90%. It`s brittle character,or mineral`s reduced plasticity,is explained mineralogically by the fact that calcite has a crystalline strucutre similar to a smooth surface of the crystals,but with groups of higher ionic bounds,unlike dolomite where Mg ions block the formation of higher ionic bounds bigger than Ca. Dolomite`s intensity and speed of the reaction with acids is more than 100 times slower as calcite,wich is caused by the small size of the ionic groups of Ca. If dolomite is dissolved in sulfuric acid,there will be equal amounts of gypsum and magnesium sulphate (Epsom salt). This reaction takes place all the way only in the presence of heat and if previously the dolomite was crushed.